Returning home to tend her widowed father Dr Marjoribanks, Lucilla soon launches herself into Carlingford society, aiming to raise the tone with her select Thursday evening parties. Optimistic, resourceful and blithely unimpeded by self-doubt, Lucilla is a superior being in every way, not least in relation to men. 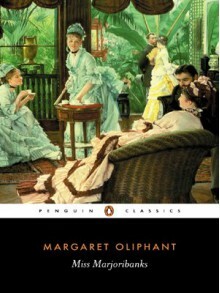 This Penguin Classics edition of Miss Marjoribanks (1865) is introduced and edited by Margaret Oliphant's acclaimed biographer Margaret Jay. The Carlingford Chronicles - Miss Marjoribanks. Margaret Oliphant dramatisation with Elizabeth Spriggs.